Many times headaches migrate throughout the head and can be felt in several areas or can be localized in one area. Although pain medications provide relief from this pain, this relief is often temporary because the medications only alleviate the symptoms. However, a chiropractic neck adjustment for migraine and tension headaches will address the underlying problem. 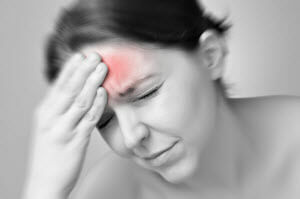 What patients do not realize is that there is another reason why they may be experiencing headaches and migraines. When the spinal bones that are located in the neck and upper back begin to deteriorate, patients can get headaches. This is why a neck adjustment for migraine and tension headaches is beneficial to patients who suffer from chronic headaches and migraines. These types of headaches are the result of an increase in tension in the neck and shoulder muscles. Tension headaches are triggered when a person is stressed or angry. The body’s normal reaction to stress or anger is to tighten the muscles. If a person is consistently stressed, the person will have muscle tension constantly and suffer from tension headaches. This type of tension causes imbalances in a person’s body. Chiropractic neck adjustments help the muscles relax. A spinal adjustment will also help the spine return to its normal position. This will not only help eliminate the pain, it will also prevent the nerves from becoming irritated. Patients typically notice improvement in their headaches after only a few adjustments. Chiropractic adjustments are also beneficial to those who suffer with migraines. The adjustments help to encourage blood flow. Pain medications reduce headache symptoms, but they do not eliminate the source of the pain. A neck adjustment for migraine and tension headaches, along with muscle knot therapy, can be very effective for eliminating this debilitating health ailment. Has migraines stopped you from enjoying life? Dr. Renee White of Champion Chiropractic can eliminate the pain with superior chiropractic treatments and adjustments. Schedule an appointment today!